Whilst wet plants have a higher level of consistency there is a view they bring with them higher maintenance costs in addition to higher water usage than in a dry batch plant. Ali Gelmez of Ins Makina Batch Plants says that "In general demand in the World is for wet mixing plants. The concrete quality is better than dry mix plants. For international standards of concrete, wet mixing plants are being utilised by readymix companies. " Whats the difference between wet and dry mix batch plants? Wet batching concrete plants combine all the ingredients required to make concrete before it’s moved to the mixing trucks. Central-mix batching plants utilize plant-mounted mixers the place you place all the concrete ingredients INCLUDING water as well as the plant churns everything into concrete. Following this, the concrete is going to be transported for the construction site, however the truck mixer must agitate the ultimate product gradually so as to keep the concrete fresh. 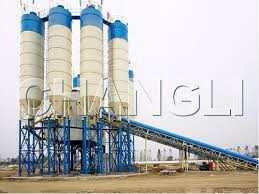 However, the dry concrete batching plant combines every one of the ingredients necessary to create concrete with just one exception, WATER. The operator will most likely add water towards the mixture after it really is transferred in the trucks. The trucks, which generally have drum mixers will turn the mix during the transportation period, this combining all the ingredients to generate fresh concrete on site. Given the speed and consistency of a wet plant in combination with the ability to deliver large pours within specification wet concrete batching plants are often seen as better value long term by concrete batching companies worldwide looking to reduce the time associated with slumping loads. Wet batch plants are currently perceived to have a longer life from a maintenance perspective, another factor weighing in their favour.